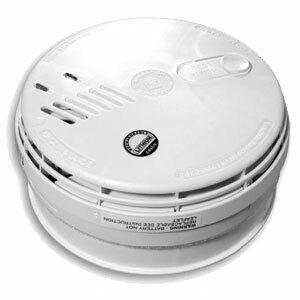 The aico Easi Fit EI141 Ionisation Smoke Detector is one of our best selling products. Feature 240v mains connection with an alkaline battery back-up for peace of mind and added safety that will last up to 4 years in stand-by mode. The smoke detector is easy to fit and is inter-linkable. Responds quickly to fast flaming fires. Unique and proven long life ionisation smoke chamber. errors (does not draw power until alarm is fitted to the mounting plate). Interconnects with other Ei mains powered smoke and heat alarms.